We strive to provide an educational environment that will stimulate the student’s God-given cognitive, emotional, social, and behavioral growth to his/her greatest potential. Students with special needs are placed in general education classes, challenging them with the diversity of information and concepts. Effort will be made to provide adaptations and modifications (if needed) in the general classroom as availability of staffing and peer tutors allow. If upon careful recommendation by teachers and parents, a general education course would not be beneficial to the student, then a parallel or alternative class may be made available. Students with special needs are also placed in general education classes in order to challenge the students with a greater variety of social experiences. 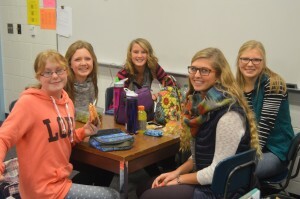 For those students needing further intentional friendships, a Connections group is set up for them. 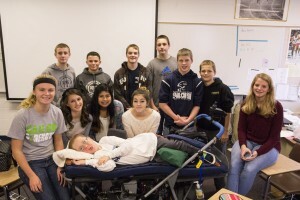 In this Connections group, general education students befriend the student with special needs and are to him/her a source of learning, growth, and fun. The friendships, although initially potentially artificial, often become genuine and mutual. Students work individually or in small groups with a teacher, paraprofessional teacher, or peer tutor. Students will be assisted in doing homework, studying for test, and taking tests as needed. Community Based Instruction (CBI) is an unpaid work/study program that is offered during the school day, usually one hour per day. Apprenticeship is also an option in a student’s senior year. An apprenticeship needs the approval of the counselor and registrar. The student will receive school credit for CBI assignments and apprenticeships. Each spring the parent/guardian and the inclusion teacher will discuss ways in which to increase the student’s independence at school, work, and in the home. Post-high school planning will also occur. Sometimes our students have done their very best, worked hard, and still do not make passing grades. When this is the case, the resource/inclusion teacher(s) and the classroom teacher can discuss the option of modified grading. If a course is changed or modified, and therefore no longer meets the course requirements, a modified grade is noted on the transcript. We encourage students to grow both from their success and their failure as they learn to recognize and develop the gifts God has given them. We support parents in their Christian responsibility to teach their children (Deut. 11:19). Some students may need one-on-one assistance with their learning. Since the Resource Study Center is unable to provide this service, parents may need to seek the services of a private tutor. The counseling staff can assist parents in finding a tutor. All current students and former students of the Resource Study Center have the option of taking their tests in the Resource Study Center; for most 9th graders this is a requirement. 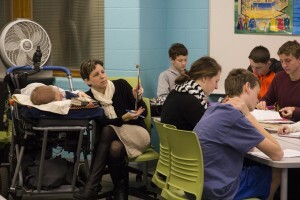 Students with a reading disability may have tests read to them. Students with a writing disability may have a scribe write out responses to essay questions for them. Other students may need to have questions reworded for them.